Hummingbirds can be found only in the Western Hemisphere, from southeastern Alaska to southern Chile, although most live in the tropics. There are more than 300 species of hummingbirds, twelve of which summer in North America and winter in tropical areas. Where I live, it is the Ruby-throated Hummingbird (see photo below). These fascinating birds are always a delight to have in your garden. While most people just focus on nectar feeders to attract hummers, they also should be thinking about a variety of other options, especially if they would like to keep these beautiful birds coming back. An ideal habitat for hummingbirds consists of certain flowers for the nectar as well as pollen, certain trees, and shrubs, and in addition a water source. 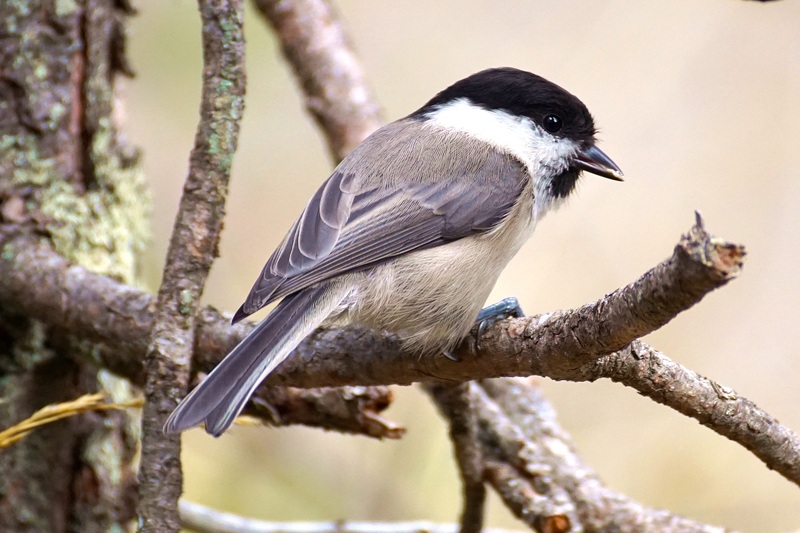 The trees and shrubs are important for shelter and also for nesting, and the water is for drinking, bathing and preening. 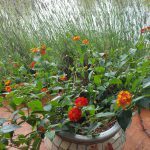 I have made a list of my Top 10 flowers and shrubs/bushes that I like to have in my own backyard garden. Of course, there are many other plants and flowers that hummers will be attracted to. To find out more information you can go to your local nursery who will be glad to help you choose the right flowers and shrubs for your area. 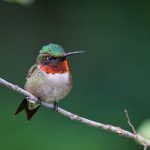 Keep in mind that the flowers do not have to be red as most people believe, hummers will seek out the nectar of various types and colors of flowers and plants. 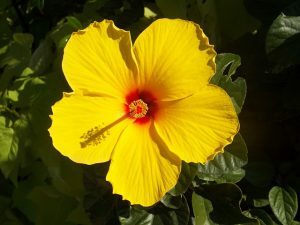 For example, the yellow hibiscus is a good one (see #6). 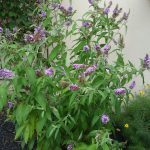 The Butterfly bush is can be a large, arching shrub that produces masses of flowers in midsummer to fall. Flower colors include blue, pink, red, violet, yellow, and white, and the shrub grows 5 to 10 feet tall and wide, depending on the variety. These beautiful long blooming bushes are great in borders. You can trim them back each year to keep them as a smaller bush which is what I do as I do not have the space for it to be bigger. Hardiness zones 5 – 10. This flower is a wildflower that blooms during the summer months and into the fall. 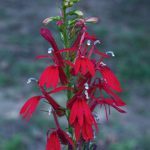 The bright red color of the tall spike like flowers and the sweet nectar attract many species of hummingbirds and growing cardinal flowers are ideal for use in hummingbird gardens. They are in plant hardiness zones 1 through 10. Lantana are known for their rounded clusters of small, brightly-colored flowers. The flowers may be yellow, orange, white, red and purple, and often colors are mixed within the same cluster, creating a bi-colored effect. This is also a popular plant for butterflies. This can either be a trailing plant that gets to be 18 – 24 inches or a bush that will get up to 4 feet tall. I think I have seen them even bigger in Arizona. It depends on where you live. 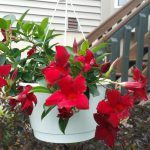 One of my favorite vines is the Mandevilla. 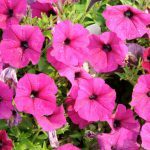 These flowers are trumpet-shape that come in shades of pink, white, or red. It is has a very tropical look and will bloom all the way up to the first frost. I overwinter them indoors so that I can enjoy them the next year. Zones 10-11, however I am in zone 5 and they do well. 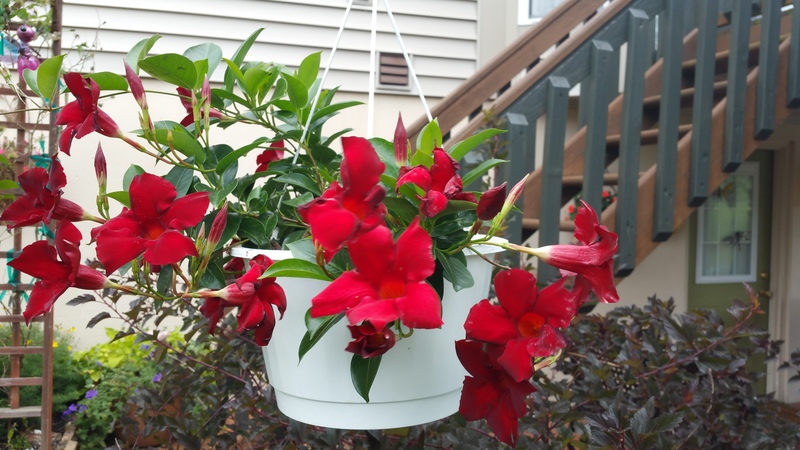 Added note: The photo shown is a hanging plant but I also have one in a standing potted plant that has a trellis. Hummers like both. 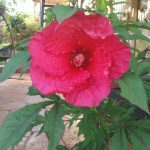 There are three different types tropical, perennial, and hardy shrub (or rose of sharon). I have both the tropical and perennial. These flowers bloom in July and August. Each flower is short-lived, but there are an abundance of them. Blossoms are usually 3”- 6” in diameter and come in many different colors and varieties including red, orange, yellow, salmon-pink, multicolored, and even double blossoms. 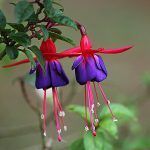 The Fuchsia is a vivid purplish red color and flowers almost continuously during the growing season. They are beautiful flowers with green foliage and come in a variety of hues in pink, red, white, purple, and magenta. Best growing zones 8-10 but you may still be able to have fuscia plants during the summer months. I do in zone 5. 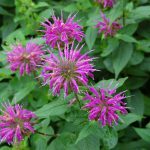 These are my Top 10 favorite flowers and bushes that I have in my garden in Northern Kentucky. 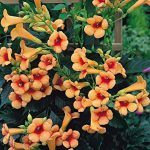 You may have your own choice of flowers that you prefer to grow that attract hummers. There are so many pretty flowers that the hummers like too. 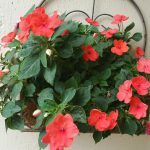 While this post is specifically about types of flowers and shrubs you can add to your garden to attract the hummingbirds, don’t forget to add a water source too. The hummers like to drink the water, bathe in it, and do their preening. Of course, a hummingbird feeder filled with nectar is an added delight for these beautiful birds, which will keep them coming back time after time. I would love to hear your thoughts. What flowers and shrubs do you use in your garden to attract hummingbirds? Please feel free to leave a comment below. Posted in Attracting Hummingbirds, Hummingbirds, Landscaping For Birds and tagged hummingbird flowers, hummingbirds. Very nice and informative site – good use of space with wonderful graphics. As a bird lover myself – truly appreciate the care you have taken to provide helpful information with pictures that can be used. Keep up the good work. I wonder will you be selling or advertising items off of your site? Have you consider adding some regional information – possible links to other sites that help the visitor know about common birds in their region? Thank you for your comment Steve. I am passionate about birds and attracting them to my yard. It is a hobby that my husband and I both share. Yes I do sell things on the site via links to Amazon. I am still pretty new at this so I welcome suggestions. On Pinterest I have local links and am working on a way to place it on my site just not sure how exactly to do that. Any suggestions would be appreciated. Thanks again! Hi! Thanks so much for this delightful article on flowers that attract hummingbirds. I had no idea that the flowers didn’t have to be red or pink to attract them. I love all your picks especially the fuchsia and cardinal flowers. One flower that seems to attract them a lot in my garden is Rose of Sharon. It usually blooms late July and August and stays into the fall. I’ve seen several hummingbirds hang around this bush all day. Have you heard of the Rose of Sharon? Hi Barb, thanks for your comment! Yes, it is all about the nectar in the flower that attracts the hummers. Red is the best color but they like the other ones too. I love the Rose of Sharon. I do not have any room in my yard or I would have them too. They definitely attract the hummers for sure and are very pretty during the summer months.